Within an hour of leaving behind the city roads, you are tempted to enter the pit lane at Grips (10:00 – 19:00 hrs/21:00 hrs on weekends), which is an international standard karting and bowling venue. 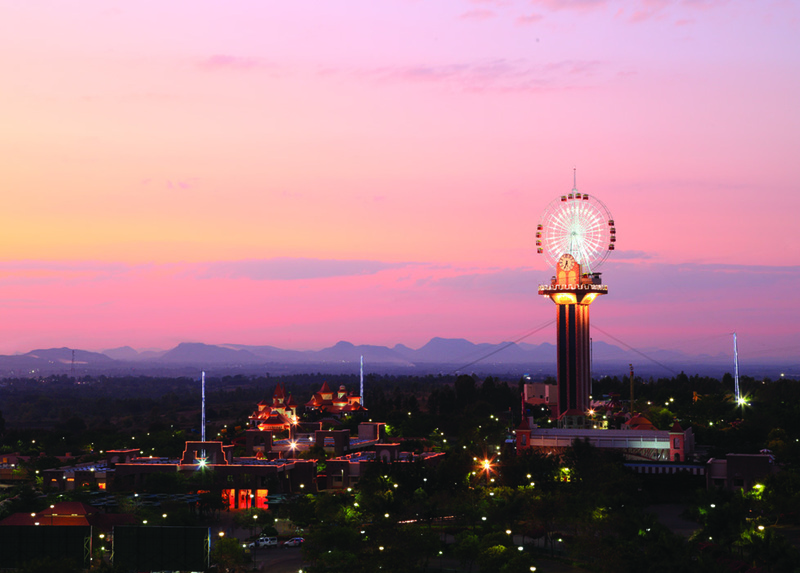 A few miles further is South India’s largest amusement park, Wonderla (11:00 – 18:00 hrs, 19:00 hrs on weekends) with over fifty dry and water rides. This however isn’t a pit stop and deserves a whole day. Next up near Bidadi town, is Innovative Film City, a multiple entertainment destination with Ripley’s museum and Louis Tussaud’s Wax museum to name a few. 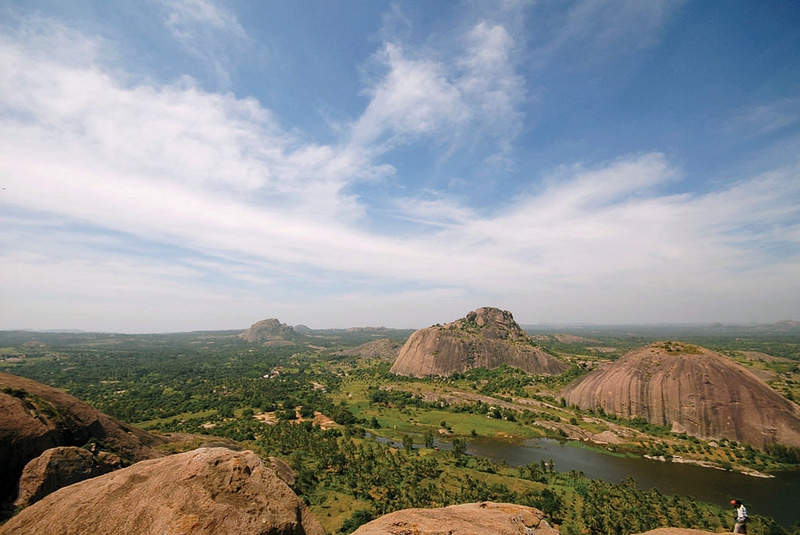 For adrenaline junkies, the rock formations around Ramnagaram invite you to indulge in some rock climbing and rappelling. Professionals can venture independently while there are a host of adventure clubs in Bangalore who cater to rookies and intermediates. This town is also known for its silk; several communities undertake sericulture for livelihood. Moving along, beginning the culture trail is an establishment called Janapada Loka (09:00 – 17:30 hrs except Tuesdays), which is a museum showcasing folk arts and crafts of Karnataka. Present right beside the popular Kamat Lokaruchi, this is part of an initiative to document, showcase, uplift and preserve rural traditions and society. 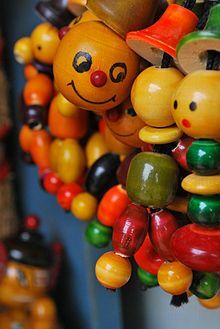 The town of Channapatna further ahead, is best known for wooden toys made in ivory, rose and sandal wood. While history claims that Persian artisans were invited during Tipu Sultan’s reign; with a Geographical Indication (GI) tag, there is enough merit in carrying back a souvenir or two for the kids. Paddy and sugarcane fields will befriend you through Maddur and Mandya as jaggery production is primary livelihood around here. If stationary, a band of street hawkers will approach you with a typical savoury called Maddur vada, after its namesake town. This serves as a good accompaniment for tea from roadside stalls. 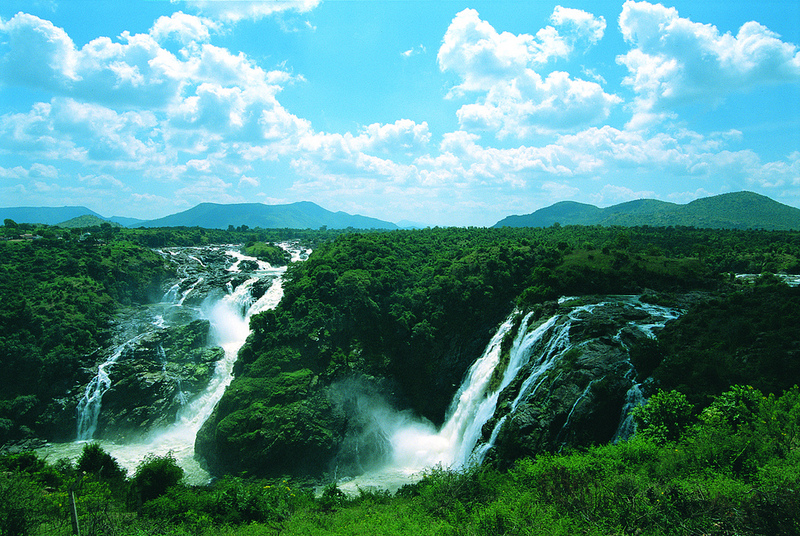 Upstream river Cauvery, India’s second largest waterfalls and possibly Asia’s first hydel power project, Shivanasamudra; and the legend surrounding pilgrimage site with sand-covered temples of Talakad ( 45 km before Mysore ) can be accessed; both a short drive off the highway. Srirangapatna, a town on a river island has various places of significant interest in terms of temple architecture and monuments related to Tipu Sultan’s reign of Mysore along with his summer palace. 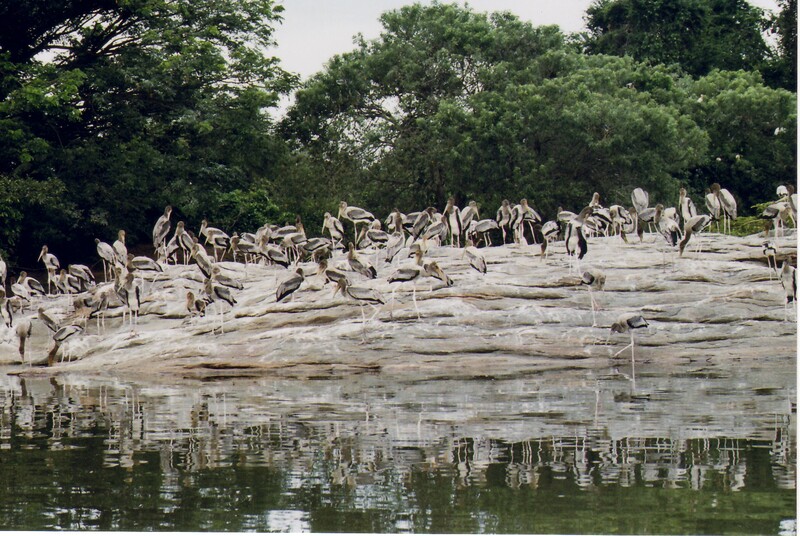 Ranganthittu Bird Sanctuary (09:00 – 18:00 hrs), a which is a huge migration and breeding site for several species around the world is a birder’s haven. Largest of its kind in the state, it comprises a few islets between crocodile infested waters on the banks of river Cauvery. You HAVE to do a tour of this historical and magical city with the passionate and knowledgeable folks at Royal Mysore Walks. Be it their walking tour or cycling tour or the jeep tour, they have itineraries tailored to individual interests and needs. These tours weave together the rich history, culture and legends of the city, trans-locating you to a bygone era. 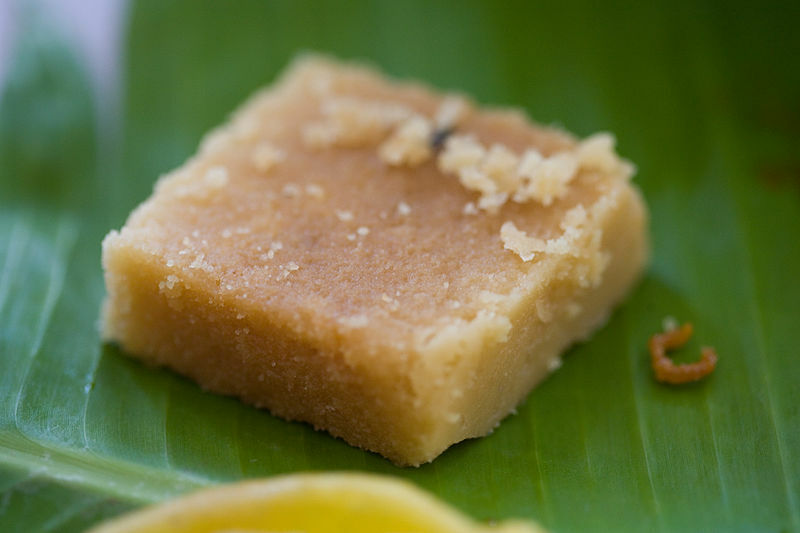 Mysore is also renowned for silk sarees; gifts, souvenirs and cosmetics in sandalwood; the dessert sweet Mysore Pak just adds to the city’s importance and a glimpse in to the royal heritage that abounds. Speaking of royalty, Amba Vilas Palace known famously as Palace of Mysore (10:00 – 17:30 hrs), is the official home of the erstwhile family of Wodeyars. 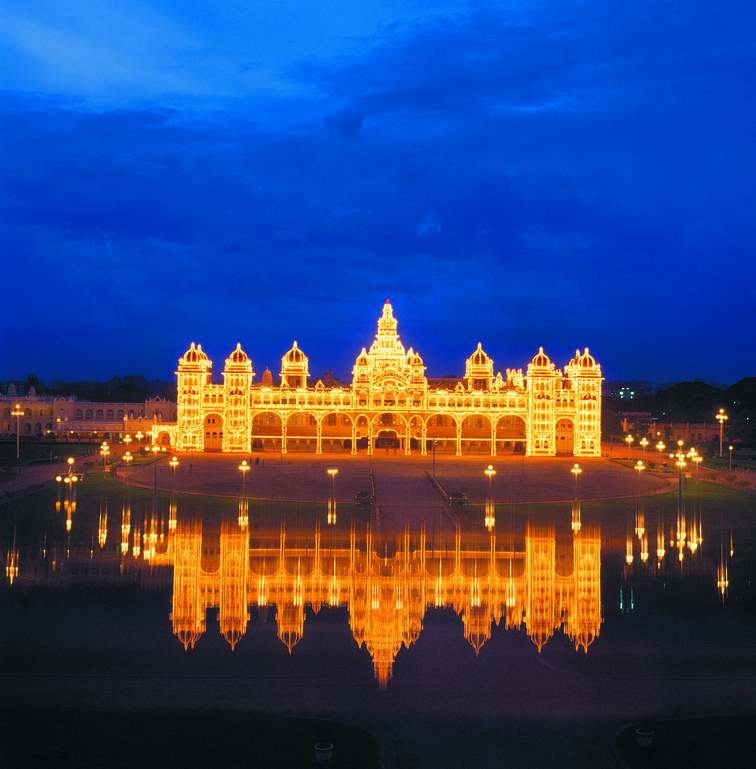 This, a huge attraction, which hosts Mysore Dusshera festival annually, illuminates every Sunday night for an hour. Guided tours (10:00 – 17:30 hrs) of the opulent complex and interiors go on every day. As a source of drinking water for Mysore and Bangalore, Krishna Raja Sagar dam across river Cauvery is vital. 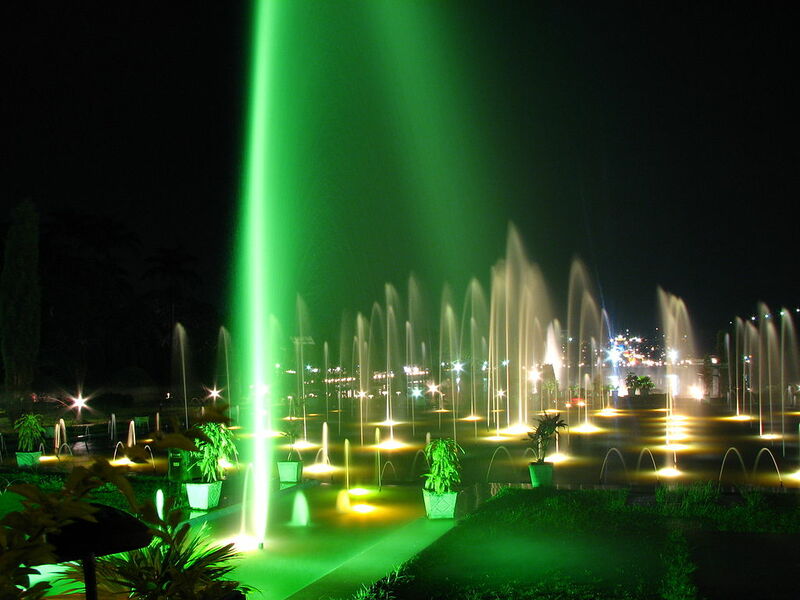 Located off Mysore, it hosts a water and light fountain show every evening in its ornamental Brindavan Gardens. 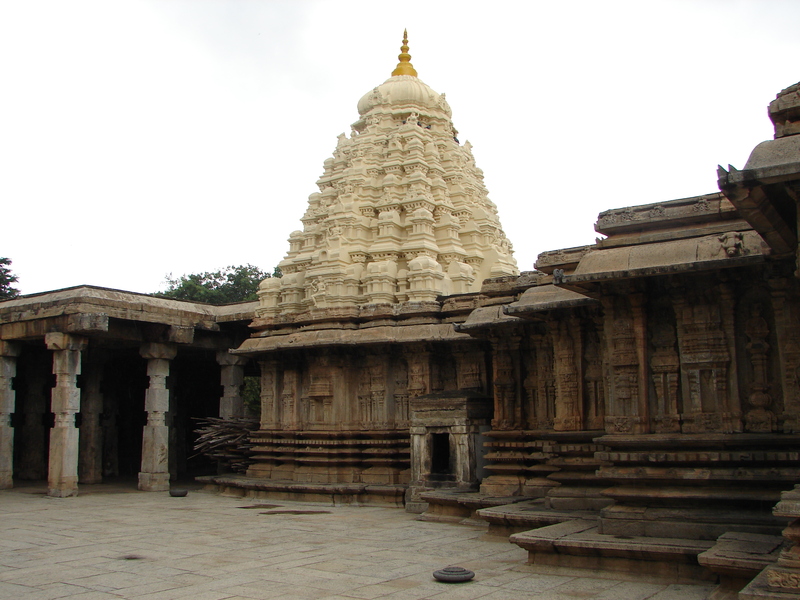 Twenty minutes from Mysore, Chamundi hills, is one of the eight most sacred hills in South India with two temples. You may choose to climb on foot via 1000 odd staircases or drive/ride to the top. It gives a panoramic view of the city and its monuments. Leave early in the morning to avoid highway traffic and catch the early bird breakfast. Rural scenes will be a pleasant surprise throughout. Rocks at Ramanagaram, paddy and sugarcane fields near Maddur, bird watching at Ranganthittu. 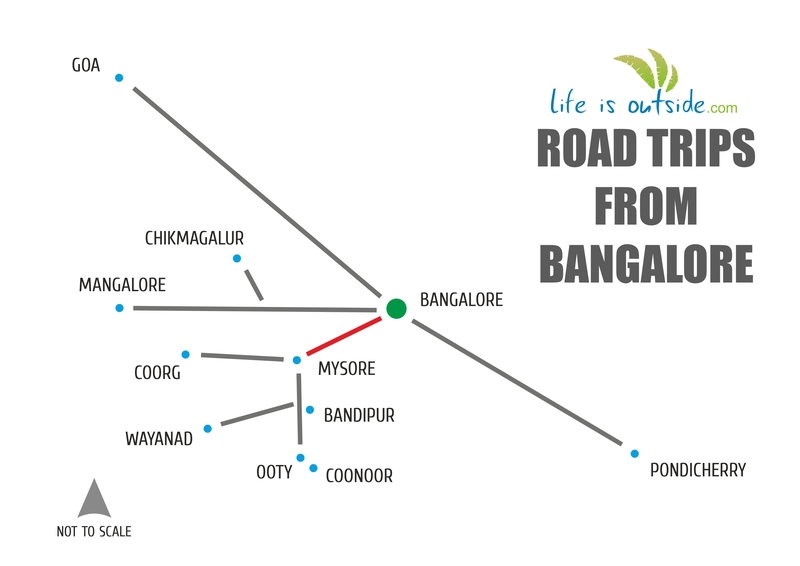 LifeIsOutside has a collection of hotels and resorts on this route. Explore Places To Stay In Mysore. ← Baby! You promised me the moon.